The freedom of flying solo is indescribable. The follow is an outline of training required to gain the Pilot Certificate (solo) and does not include training for the cross country endorsement, passenger carrying endorsement or radio operators’ endorsement. The first stage of training begins with paperwork, pre-flight briefing and an 20min introductory flight. This introductory is designed to ensure you feel comfortable with flight, and the weightshift method of control. After the flight we give you an indication of the theory component required if you choose to continue learning to fly. In the second stage of training, circuits will be undertaken with the trainee in the back seat, an hour or two of airtime will familiarise the trainee with climbing turns, descending turns, bank angles and roll rate of the trike. You will get to control the aircraft and gain a good idea of the inputs required. The third stage we undertake about an hour of training with the trainee in the front seat. We will familiarise you with taxiing and learning to control the wing and base in varying wind directions and strengths. It is here that pilots who have flow general aviation aircraft will need to come to grips with the nose-wheel steering system and pitch control of the wing. We will also perform a number of circuits with the trainee in the front seat. We may also use land-yachts to practice steering techniques in windy conditions. The fourth stage familiarises the trainee with pre-flight checks and standard airport radio procedures whilst we are once again practicing taxiing and flying circuits. By the end of this stage we should have between five and ten hours of flight and have done right hand and left hand circuits and beginning to judge the throttle control to accurately land on a predetermined position on our chosen runway. The fifth stage will be flying small cross countries, radio procedures and in-flight checks, still with your instructor in the back seat. You will learn to maintain the appropriate level of attention to the sky and navigational features. Engine off glides will be done to familiarise you with the glide performance of the aircraft. We will hone precautionary search and landing skills. This is especially necessary in the case of engine failure later in your solo activities and whilst gaining airtime for other endorsements. Theory lessons are an essential component of your training experience. You will be provided with a workbook and reference material which can be completed in the majority at home. Verification, correction and/or expansion upon each of your workbook answers will occur at the classroom between our flying sessions. These theory lessons prepare you for each days flying and the theory exam that is undertaken near the end of the course to complete the requirements to gain your certificate. 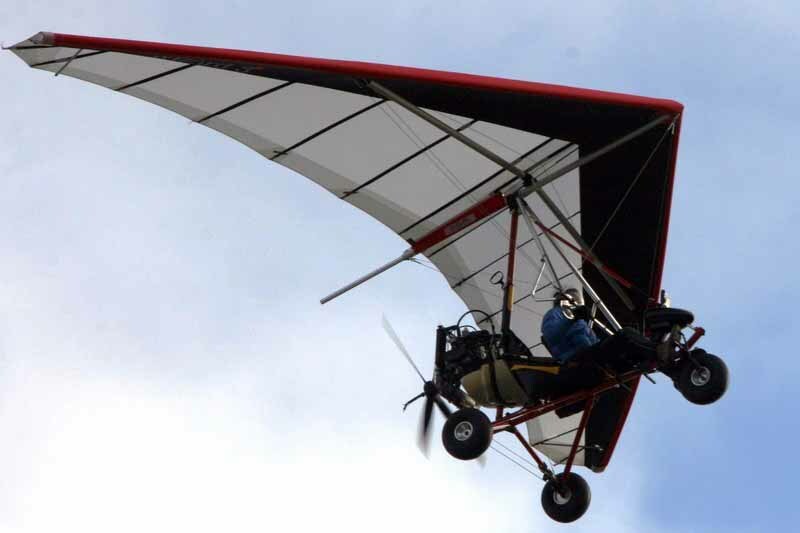 Have a look at our Microlight FAQ section to learn more information about microlights and the courses we offer.